‘How on earth are we going to top that?’ I remarked as we left Switzerland completely mind blown and headed next, toward the French alps. Honestly, we were so content with what we’d seen so far on this trip, anything else was just a bonus from here on out. Did you catch my last blog post where I did my first Via Ferrata in Nax, Switzerland? As mentioned in my Swiss Alps post, we actually dipped into France before Geneva (for a night) before returning to France, but for the sake of keeping the country’s itineraries separate I’ve left the last post on Geneva and am going to start this post with Chamonix. The drive through to Chamonix was only an hour from Geneva – another example of how easy it is to access some of the most beautiful parts of the world from this Swiss hub. We passed through the border where we had to slow down to drive through, but the border itself didn’t require anything from us. Again, the French operate with a toll system, it’s Switzerland that have the car tax sticker you purchase at the border. 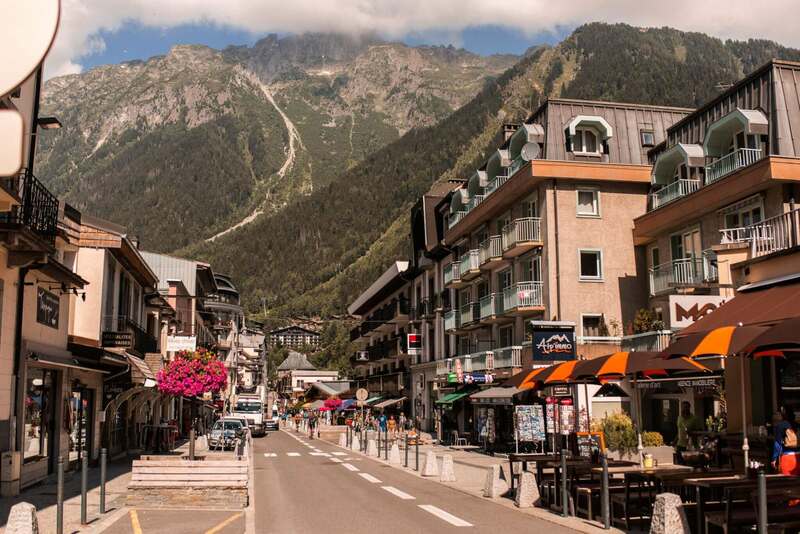 Now, I had heard so many incredible things about Chamonix, mainly as a winter ski destination, but of course we were heading there during the summer months. Airbnb and booking.com failed to find us anything reasonably priced in the centre – it’s an expensive destination if you’re trying to keep to a budget! 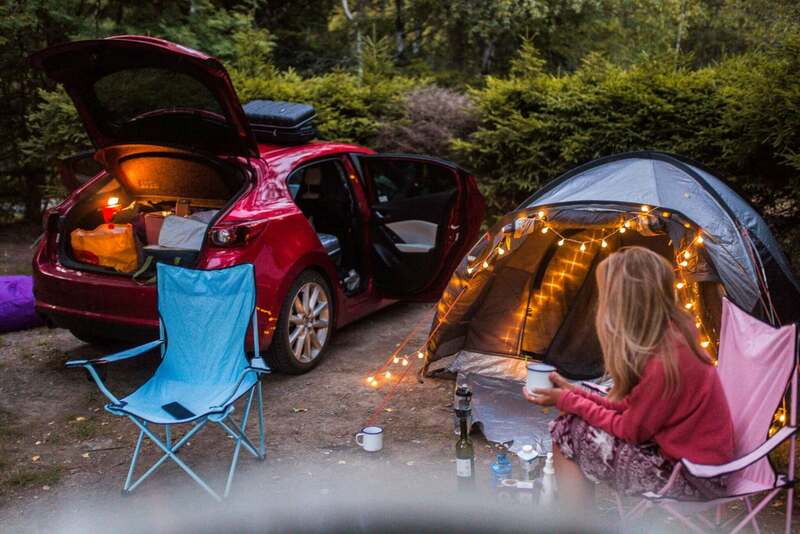 This is exactly where having a car and being on a road trip comes wonderfully into play. We had a tent and all our camping stuff in the boot ready to camp out! We pitched up a 3/4 minutes drive outside of the centre at Mer De Glacé – a camp site Lyds had stayed at before a few years ago. We payed €32 for two adults, a car and a tent, and when checking in even opted in for the Yoga class happening in the trees that evening for €10 each. 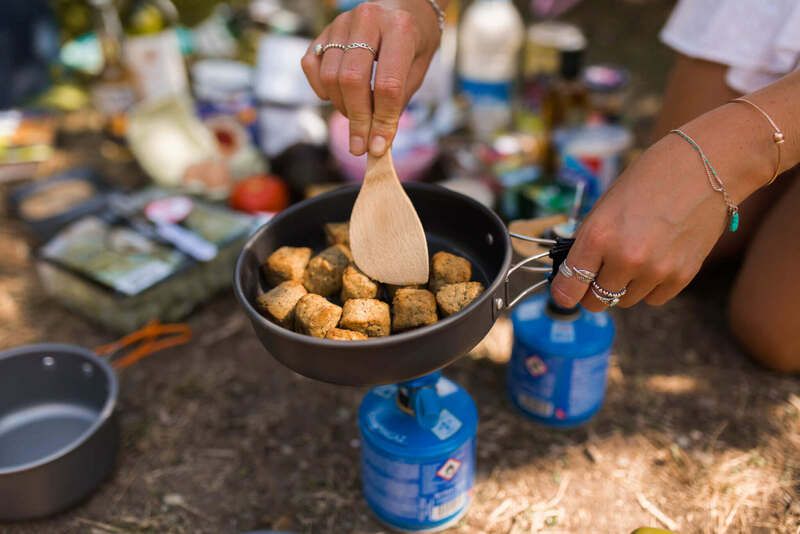 There was a real community feel to this campfire and when looking up from any area of the grounds, you were welcomed with crazy beautiful views of the mountains that 360’d you including the infamous Mount Blanc and Aiguille du Midi. 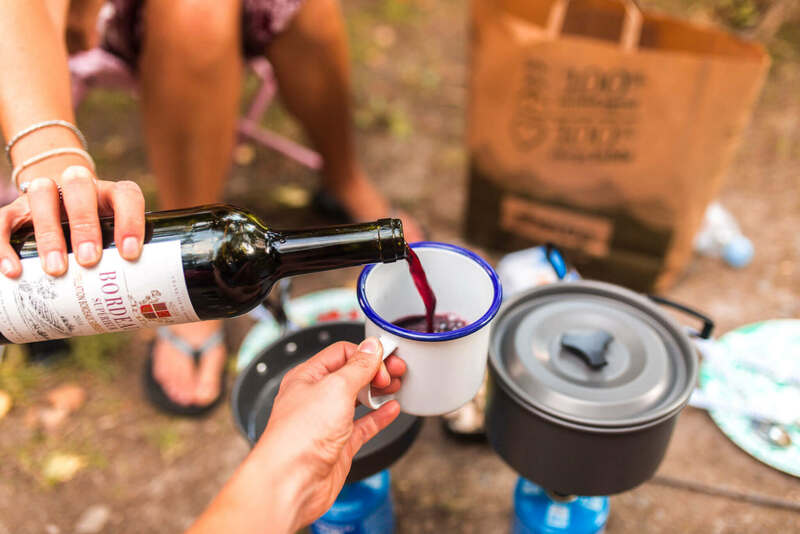 Top tip: when travelling through the mountains, make sure to bring a reusable water bottle so you can fill up on mountain water – save the pennies, and reduce single use plastic. 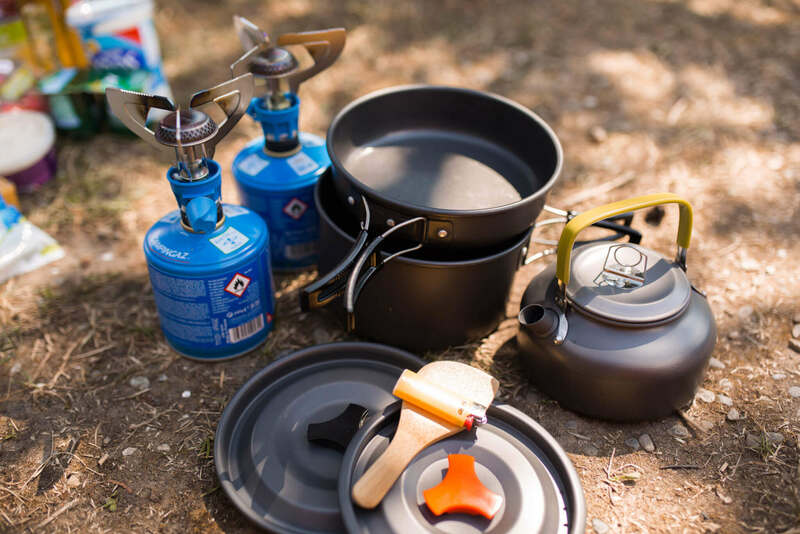 Most campsites and towns will have taps and/or water fountains. 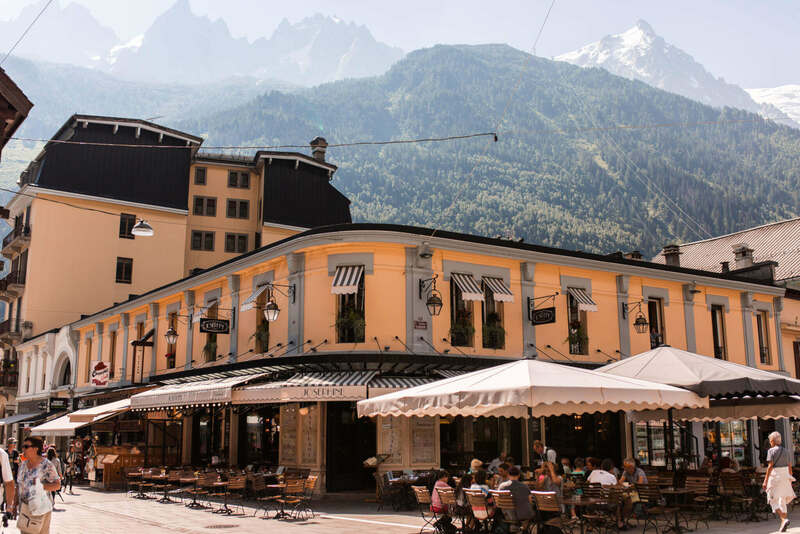 Unlike a lot of the Swiss towns we’d fallen in love with, Chamonix had a real buzz to it and is evidently an all-round destination which makes it all that much more appealing to live in. Just saying. Throughout the summer they have so many events and festivals going one. For example, there’s a yoga festival, the Mont Blanc marathon, cycling events and so much more. I was gutted to only have a day here and would so love to camp out for a week or two and explore all the trails and activities around. Needless to say I would love to come back in the winter too for the cosy mountain chalet vibes that melt me inside. Top tip: we needed to get on with work during the afternoon we spent in chamonix. For all you digital nomads out there, we found great WiFi (and Hugo cocktails) at the mercure hotel. Parking in the car park next door was 3/4€. – Get the train up to Mer de Glace, near Aiguille du Midi, or hike 3.5 hours through the forest with a cafe 3/4 of the way up. Top tip: if you get the Cable car 30 mins up to Aiguille du Midi you have to spend 2 hours there. This stopped us being able to do it because of timings which was a shame. It’s meant to be insane so leave enough time for that! The place that has always had my heart. The place, along side Australia, that I still hope to one day live in. Annecy ticks pretty much all my happy boxes, and just when I thought Switzerland had taken the gold medal, Annecy pushed it back to Silver. 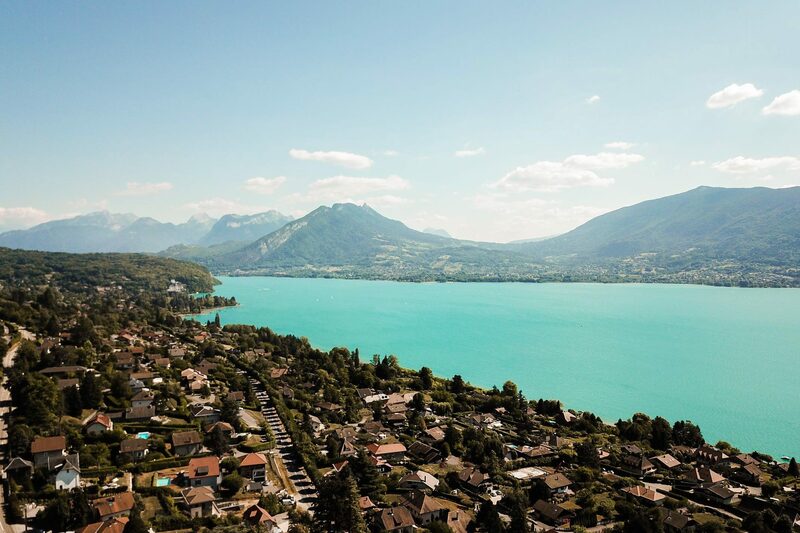 After all, you could have the best in both worlds by living in Annecy and visiting Switzerland on the weekends. Easy, right? Haha! 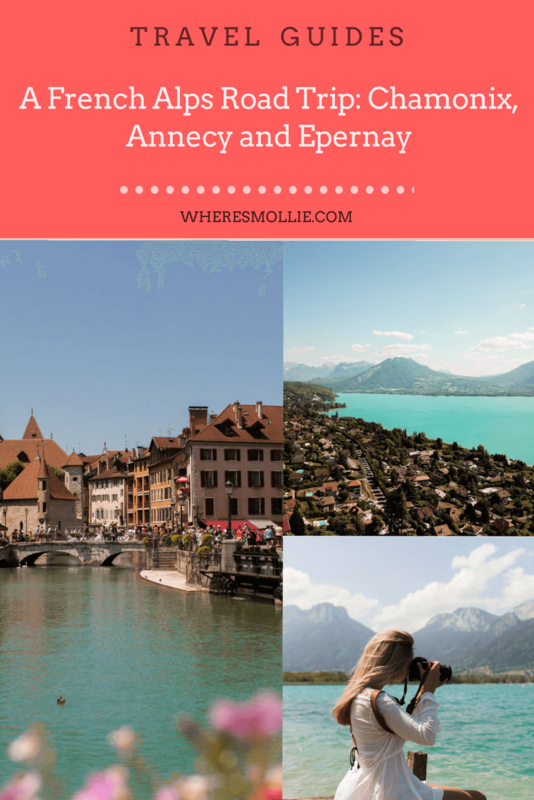 See my spring guide to Annecy here. After our hotel stay, being pampered like complete princesses at Hotel D’Angleterre, we were ready to pitch up our tent again. This time, lake side. We had a complete gypsy moment here haha. 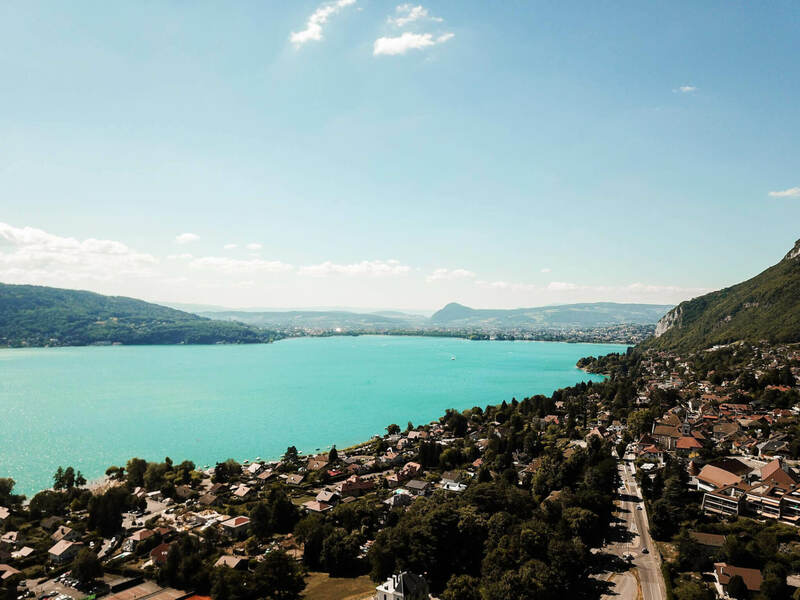 We googled campsites in Annecy and decided to drive around checking them out with the intention of just choosing one as we went. Lyds had seen one for €30 online and totally thought it was the one we were pulling into so we handed over our passports and went to proceed with the booking at Le Lac Bleu before noticing the invoice quoted €48. It was a lot more than expected for a small pitch with no electrics so we umm’ed and arr’d before giving into our bargain hunting nature and getting back in the car. Other places we found were completely full. 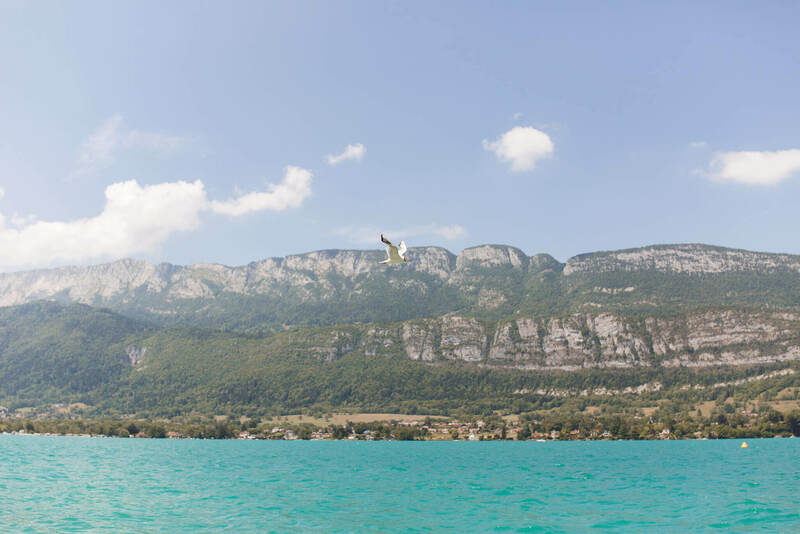 We thought we were going to have to swallow our pride and head back for the €48 pitch but then we stumbled across Coeur de Lac where we pitched by the lake for €27! 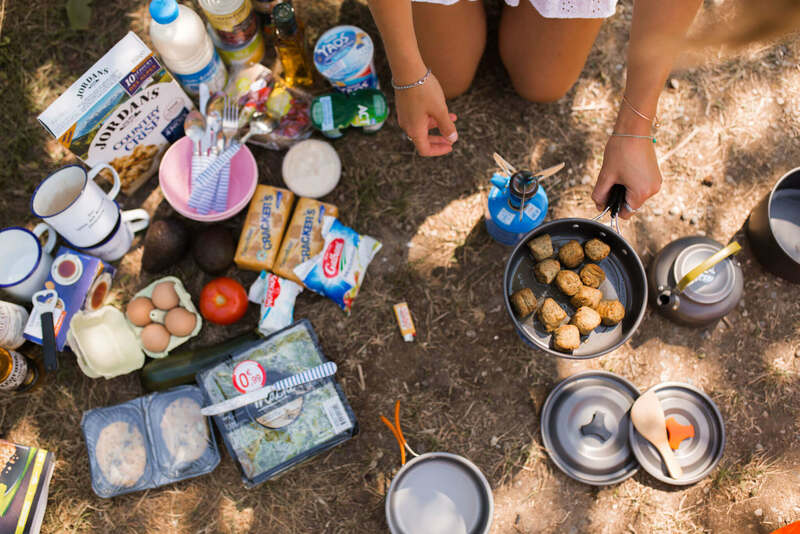 We set up camp, cooked up some lunch and went for a long afternoon dip and kick back by the lake and in the 24° waters. Ridiculous. We watched paragliders float overhead, groups of friends, couples and families on pedalos, in canoes and heading out on kayaks. The lake here spans over 27km2, there’s an abundance of hikes and activities around, and come winter you have endless ski resorts at your finger tips. A summer of climbing, hiking, windsurfing and paragliding rotated with a winter of snow, skiing and apres skiing. That right there is what I call life. We spent one night here before checking out Annecy for lunch in the sunshine and deciding to make a head start on our journey back to Calais. Getting a few hours down on the clock would mean less of a rush the following day to get back for our 8.30pm ferry back to the UK. Top tip: If you get a chance, go to Dr Good Food for a delicious, raw salad lunch. They do plenty of vegan and vegetarian options, and unreal smoothies! We chose to stop in Dijon, somewhere guaranteed to have a bit of atmosphere for the England World Cup match against Croatia. Also the home of Dijon mustard. We watched the football in the County Council Gardens and crashed at a random Airbnb which was pretty much just bed for the night before waking and continuing the drive. To split up the remaining 6 hours of driving we stopped in Epernay – the capital of champagne – which was an unexpected and perfect way to end our road trip. 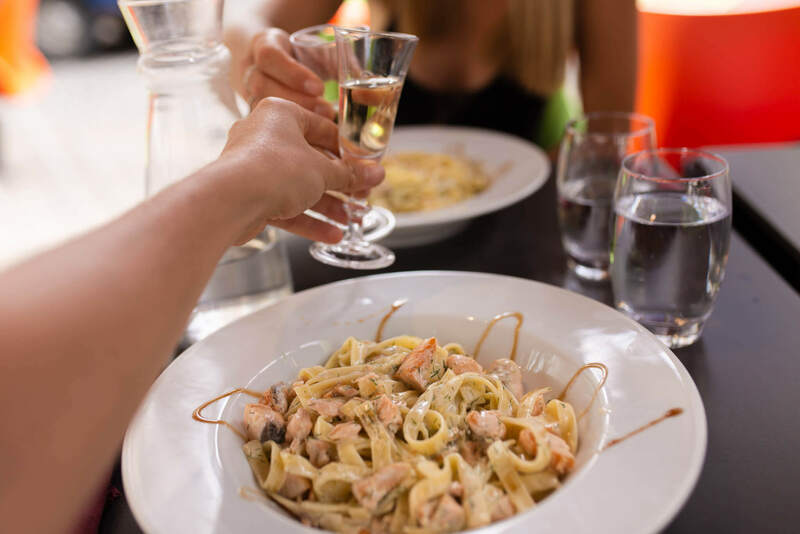 We drove through miles of vineyards before reaching the centre, putting a couple of euros on the meter and toasting some local bubbles with a delicious salmon linguine at Bar-Restaurant Le Centre. Fully tummied and with the biggest smiles on our faces after probably the best 8 days I’ve ever had (big bold statement) we headed back on the last leg of the drive and finished up the 1517miles that we’d added to the clock since disembarking the ferry in Calais. It’s hard to believe we had seen so much in eight days yet we didn’t feel overtired or that we’d been particularly rushed. I would highly recommend this trip to anyone with a desire for mountain adventure and a huge injection of bliss and Adrenalin all at once. What a journey. I hope you’ve enjoyed following along!